The hazy lazy crazy days of summer are here, and as they get longer and the temps get hotter, we might spend more time looking for ways to relax and cool down. Whether we find ourselves basking at the sea, picnicking in the forest or enjoying an outdoor music festival, a nice glass of cool wine is sure to do the trick, and here are a few new choices worth consideration. The first one is Veramonte 2011 La Gloria Sauvignon Blanc. Produced in Chile, it is refreshingly different than an ordinary white wine with a clean and tasty zip. The fruity tastes are reminiscent of anything from pineapple, citrus and guava all the way through to peach, pineapple and even pink grapefruit with a zesty finish. A good value wine priced at $12.95. This one pairs perfectly with a nice chevre salad sprinkled with walnuts for a picnic or lounge at the beach. Next on the list, still hanging in there at $12.95 a pop, is Sandbanks 2011 Rosé from Prince Edward County. Even for those of you who might not be used to selecting a rosé as your first choice, this one deserves a sampling. Its candied cherry and strawberry twinges are great for summertime sipping. It is made with vidal blanc and merlot grapes with flavours of cherry-berry and a splash of pink grapefruit. This is a good one to have on hand the next time you throw some freshwater fish on the grill. Last pick of the day is a 2009 Pinot Noir from De Loach Vineyards in California. As you would expect from an elegant pinot noir, you'll have to lay out a bit more at $14.95, but it is well worth the extra expense to enjoy its aromas of beetroot, blackberry, cedar, candied cherry, strawberry and vanilla bean. You would be hard placed to find a summertime dish that would not be enhanced by a glass of this stuff. Fred, you find them cool for summer time and your time to relax is with wine. There are many flavours in your mind for the zip. What a lovely way to relieve one self from this hot weather here. Thanks for sharing these new wines. Great, I look forward to drinking these summer wines. Ideal for a BBQ or a late evening supper. Thanks for the great recommendations. I love refreshing, fruity kind of wines. Veramonte 2011 La Gloria Sauvignon Blanc sounds totally my taste! Its way too fun going outside and just by chilling with your good friend and carrying your favorite wine.While many modern diets are becoming more limited, wine is increasing in diversity. Grapes can be grown in many different climates and soils. Wine-making is also growing from a cottage industry to encompass global networks of consumer-aware vintners. And, while wine has a strong association with food, casual drinking of wine is becoming more common.There is a certain romance associated with a bottle of wine. A good bottle of wine is the end result of thousands of years of practice, experimentation and tradition. This is cause enough for celebration and an excuse to open a new bottle! Wine is an eternal favorite with me. In fact I am longing for a glass after reading your post. You have listed some of the best wines available. The price is also a bargain for each one. Thank you for sharing this. I just loved these wines. They are a must have at all my book club meetings. The temperature will have an effect on the taste of the wine. So sometimes you need to have an ice bucket to keep it cool. So you can enjoy the best taste of the wine. I don't have the habit of drinking wine or any other alcoholic beverages till now. I have heard that wine is not harmful to our health. So I am planning to have wine in future. I will surely consider the varieties you have mentioned in this article. 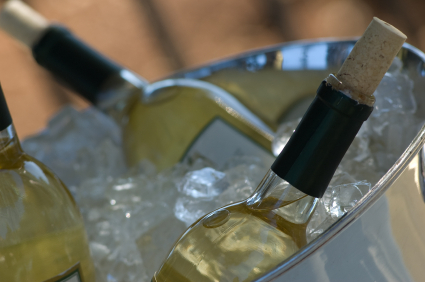 Yes indeed wine can do wonders during the long gruesome summer days as they keep you cool and relaxed through the day. i have heard about Veramonte 2011 La Gloria Sauvignon Blanc but never heard about Sandbanks 2011 Rosé and Pinot Noir. thanks for sharing such useful information. Such a nice topic to talk about on an article.. Thank you giving me a new idea about wine. their price and what it is made of..Thumbs up for this article. I took your advice and bought the Sandbanks 2011 Rosé. It tasted delightful with our fish dinner. There are three different types of wine, with an excellent quality / price ratio. Thank you for the very informative post. I'm not much of a wine drinker. But I have always been fascinated by it. At least now, I know what to look for and expect especially with the ones you specified in your post. Cheers!